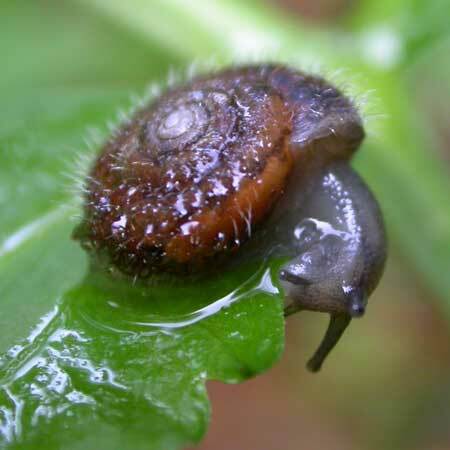 Slugs or Snails Attacking Your Cannabis Plants? Get Rid of Them Quick! Ewwww slugs and snails are eating the leaves and buds of my cannabis plants!!!! Although not the most common cannabis pest, slugs and snails are unwelcome visitors when they do show up! 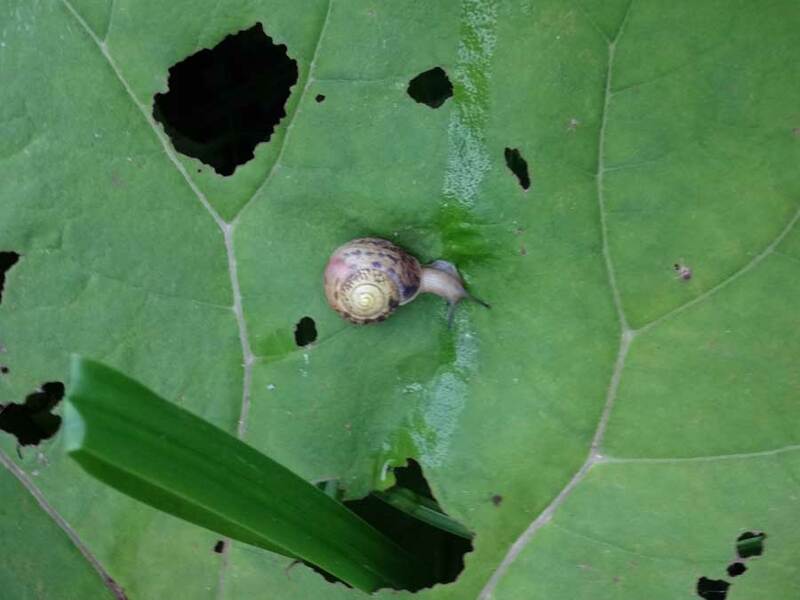 Sure signs of snail or slug damage include a trail of slime on leaves, and new holes have "scalloped" edges where the unwelcome guest has been taking bites out of your leaves with its tiny mouth. After damage has been there a while, the edges start to look more smooth. 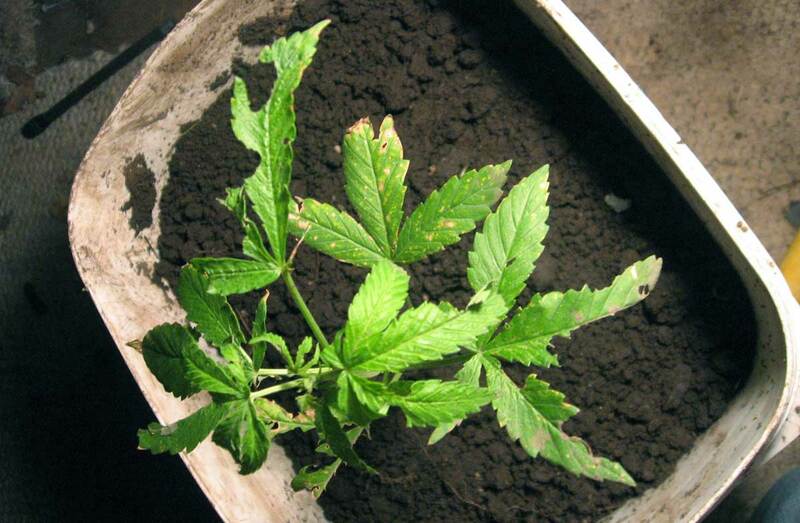 Slugs almost killed this cannabis plant! 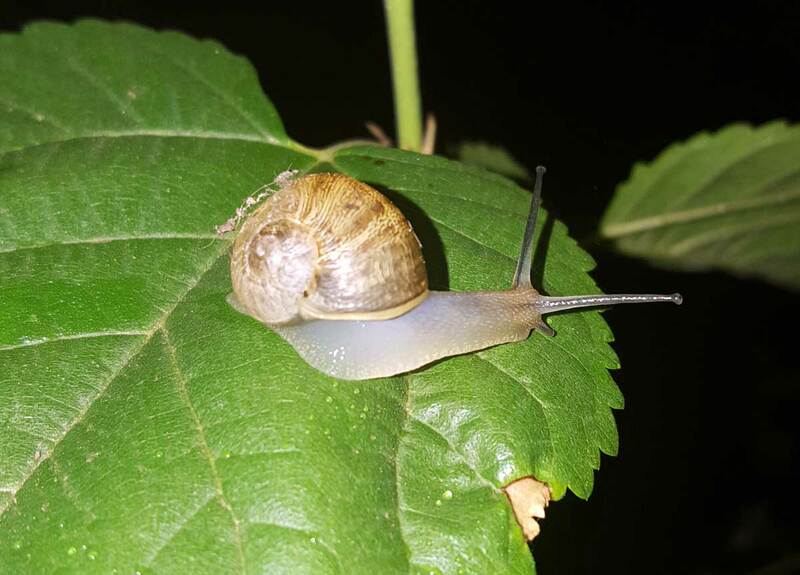 Slugs and snails like to eat the most tender leaves on your cannabis, and although one or two won't cause a whole lot of damage, if they grow in numbers they can devastate a plant. Since they eat chunks out of your leaves, the holes they leaves can sometimes be confused with caterpillar damage. 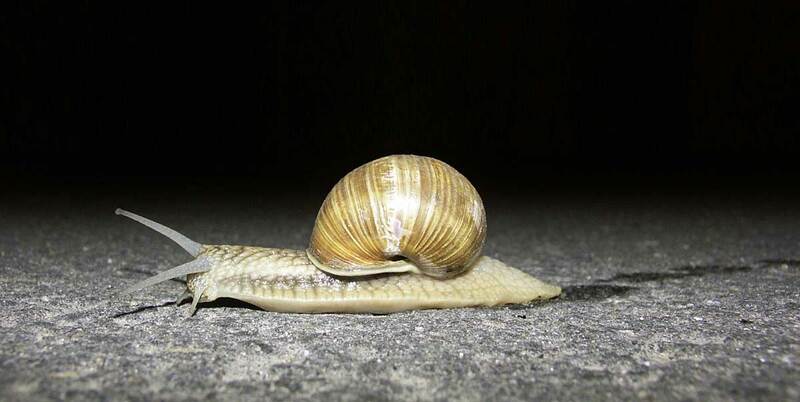 One difference is snails or slugs leave "scalloped" edges since the pests take bites one at a time.This culprit is taking a nap at the scene of the crime! Unfortunately, these annoying pests attack leaves AND buds, and they can do a surprising amount of damage in a short time, so you want to watch out for them and get rid of them quickly. Slugs and snails leave a trail, often on the leaves they've munched on, and you may also see trails on the ground around your plants. If you see trails, you know it's slugs or snails munching on your cannabis! They often stay hidden, attacking your plants at night, so stay vigilant for slug and snail damage! Although there is no foolproof method to erradicate slugs and snails, you can protect your plants and try to reduce their numbers a variety of ways. Although not a cure for slugs/snails, it's a good idea to allow toads, frogs, and beetles stay in your garden, as they eat slugs. 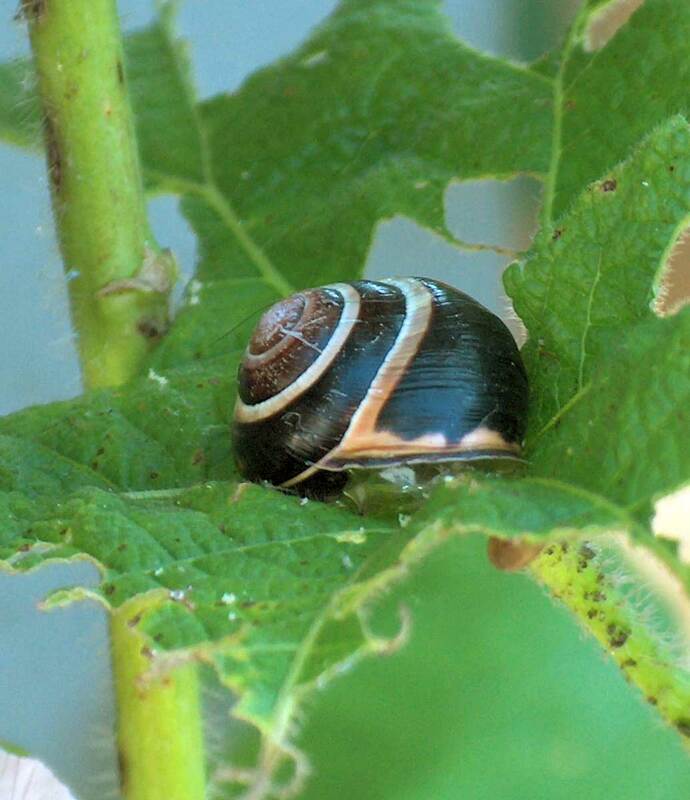 However, one of the best ways to deal with snails or slugs is to use barriers to physically prevent the pests from being able to get to your plant. 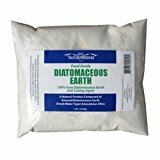 Place plastic bottle cloches around plants, or sprinkle circles of lime, eggshells, Diatomaceous Earth, or sawdust around plants. 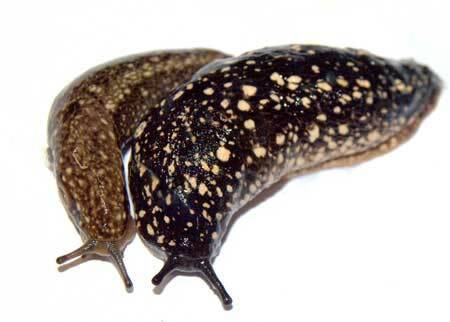 Slugs are attracted to saucers, orange rinds, and plastic pots of milk or beer (they may drown themselves in beer). How to Make Beer Trap for Slugs and Snails: mix flour with some stale beer and use it to fill a shallow container. 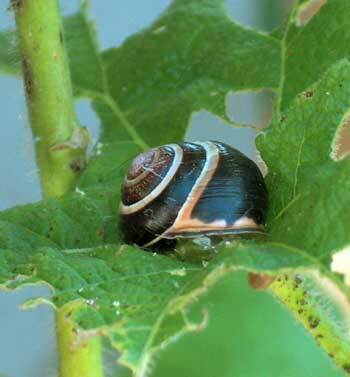 Place in garden with the rim 1 or 2 cm above the ground so that slugs and snails can climb in. Substitute beer for wine, sugar water, juice, or water mixed with yeast. BE WARNED, the trap will fill up quickly so come back often to empty. To be sure you're keeping your slimy slug population under control; collect them by hand at night or on damp days. Try collecting them under a tile or wet cardboard, and squash all eggs you find while digging. Placing a saucer of salt is another method that will kill snails and slugs. Martha Stewart recommends coiling a piece of wire around the base of your plants to give slugs a shocking experience.